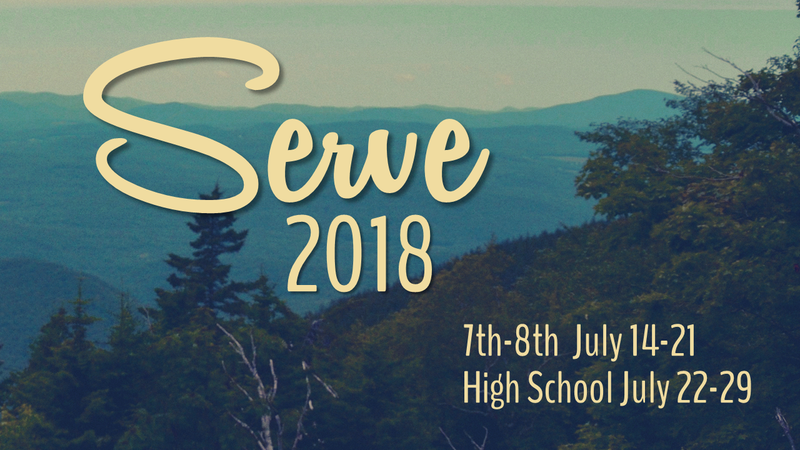 Registration is now open for SERVE 2018. Click the Join us for SERVE 2018 link for more information! You can also download the SERVE 2018 Information Sheet. We're so excited for another summer in southern Vermont. If you have any questions about joining us, serving alongside us, or have us involved in your community in VT then please join email me at tdesilets@hope-cc.org.